Today, Wednesday February 10, the City Council Smart Growth and Land Use (SG&LU) Committee will be asked to recommend approval to the full City Council of the marketing for sale of six City-owned properties that the Real Estate Asset Department (READ) has declared surplus and excess to the needs of the City. 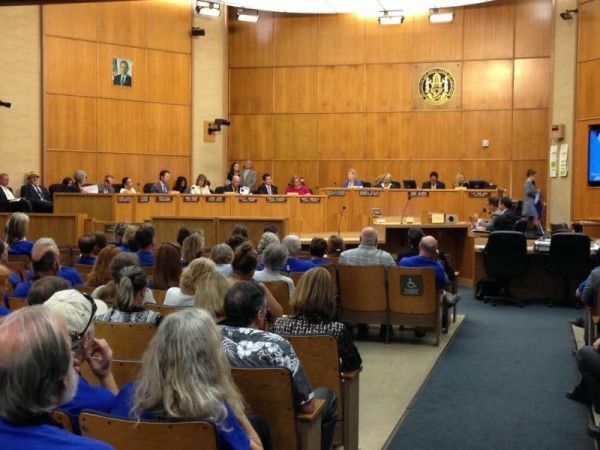 San Diego Free Press recently posted two articles (The Sell-Off of Excess Property and Public Land, Policy and Process) in the series “San Diego Commons at the Crossroads”. Called into question was the efficacy, advisability and propriety of how these properties have been declared surplus and why. We published the list of properties that was brought forward last summer as an “informational” item by READ. Here is an update and status report with some editorializing. Since a different item to sell three properties was inexplicably pulled from the Committee’s January 20 docket last month within hours of its posting the preceding week, READ has reshuffled the deck and dealt a few extra cards into the hands of the list of “qualified” real estate brokers. One previous property is listed separately for action from the remaining five which includes the additional three properties. The dates of the Council Action forms and the summaries for the initial January 20 docket and the current February 10 items jump back and forth from December 4 to December 30 mixing up sequence and properties. Exhibit A which was to list the appraised value of five of the six properties was omitted from the public record posted last week … in case you were looking for it, it appeared in the backup available on Monday as Exhibit B (“Rev 02-04-16”) with location, historic notes, restrictions, location, appraised value, broker with proposed and disposition of the sale proceeds. The three properties added to the mix (two in the University and one in Mira Mesa Community) totaling over 55 acres are valued at a combined $ 9.52 Million. The other two properties in Item #4 including the “Truax House” with another old Spanish style house and a vacant lot in Maple Canyon open space system and the former Logan Library are valued at $2.47 Million and $270 Thousand respectively. Add in the property in Skyline-Paradise Hills currently appraised at $630 thousand and the total comes to just under $13 Million before broker commissions. The backup for this item shows that the City Council authorized the sale by resolution in 2007 for a minimum price of $725 thousand. READ is required by policy to reappraise authorized properties each year and inform the Council when values drop. Not sure what the rush is to sell at a loss. The action summary states that the minimum of at least one of the four rationales to declare a property surplus has been met for all the properties. But they do not delineate which of those reasons apply to which property. It is more than a nuance that this is added on because the Council is being asked to authorize the Mayor or his designee to sell these properties and where to put the money in the action before SG&LU. The Council has not authorized the sale. So what, you say? How is it possible to have all these different summaries for different versions of actions on the same properties with different permutations? Which version of information are we “the public” and the City Council to rely upon? READ has not provided the required annual plan for seven years and yet it is moving forward with a request for authority to sell six properties. The request for authorization and the website posting is not in conformance with the City Council Policy. 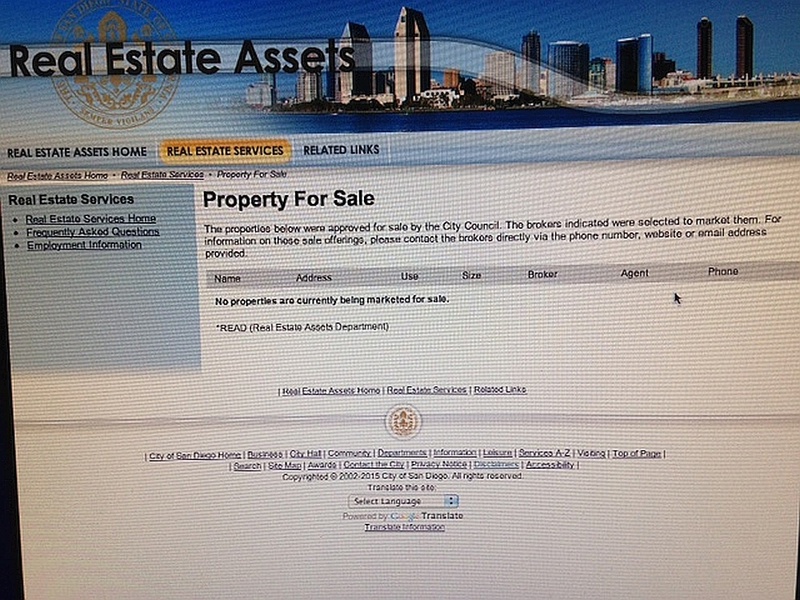 READ is required by the policy to provide annually to the City Council a Portfolio Management Plan with, among other things an inventory of properties, an operating plan, a disposition plan for surplus properties, market research to support anticipated transactions and finally a request for authority to act within defined parameters. READ has not provided the required annual plan for seven years and yet it is moving forward with a request for authority to sell six properties. The request should be denied and the required Portfolio Management Plan should be provided before any further consideration is given to selling any City-owned property. If there is an extraordinary reason or public benefit to sell properties absent the required plan having been provided to better inform the City Council and the public, then the City Council should hear the reasons and consider a waiver of their policy to act in what they consider the best interests of their constituents. But no such reason has been provided to the public record. And therein lies the rub. The City’s Strategic Plan has all sorts of goals and objectives which are quoted in the various Council Action Executive Summaries provided to the public record to encourage “public” engagement and participation. READ is a City Department and as such it is directed by the Mayor … [and the] public does not get to testify before the Mayor. Yet in the case of the items brought forward by READ, the public is not engaged prior to Council hearings. The “Council Action Executive Summary Sheet” that accompanies all requests for Council action items continues to ignore opportunities to foster participation, to engage the public or other key stakeholders. “N/A” is the response if those items are even listed. For the item #4 dealing with five of the six properties they don’t even bother to list that information. At least one member of the SG&LU Committee — Councilman David Alvarez — has been paying attention. READ is a City Department and as such it is directed by the Mayor, ostensibly in his role as the CEO implementing the policy direction of the City Council. The public does not get to testify before the Mayor. The Mayor participates in the public hearings through his staff. Technically, other than the staffs of the City Council, the City Attorney, the Independent Budget Analyst, and the City Auditor, City employees are all “his staff.” That’s why they keep calling it the “Strong Mayor” form of government. The budget keeps growing for PR professionals and an Inside San Diego news source with a new logo pumping happy talk from a new Communications Department ensconced on its own floor in City Hall. But we can’t seem to get the information out right to all the people who might actually care about what is happening in their communities – like selling land that we thought we all owned. Some of these properties were conveyed to the City at its inception as “Pueblo Lands”. The people’s property. These priorities will be discussed in an item before the proposed property sale authorization request. You might want to let the committee know you support Councilmember Alvarez’s priority for formal community input and Planning Group recommendation prior to selling the public’s land. Participation. Outreach. Engagement. All the feel good buzz words and beaucoup news releases and news stories keep flowing out of City Hall. Please, spare us the happy talk. How about Listening and Public Hearing. Give us the facts in a clear and timely manner. Let us participate in our communities in a meaningful and informed way. The SG&LU Committee at their February 10 meeting basically took extensive public testimony and moved both of the items onto the full City Council. They appeared un-concerned about the Portfolio Management Plan issue. There was a lot of testimony about preserving the Truax House and giving the community and other stakeholders time to put together a proposal to restore the house and make it a resource for meetings and organizations such as Lambda Archives, San Diego CanyonLands, a possible Seniors center and other community-serving organizations and evaluating a potential trail connection to Maple Canyon. Among the public testifying, Third District candidate Chris Ward, a member of the Uptown Planners, asked for the removal of the property from consideration until alternative actions for the site could be explored. He noted that the Uptown Planning area is park deficient (Balboa Park is a regional park). Charles Kaminski asked that the item be delayed for completion of the Lambda Archives LGBTQ resources study to be completed. Councilmember Gloria instead made the case to go forward with the sale and pleaded with the Mayor’s representative to reassign some unspecified portion of the proceeds from the sale (supposedly restricted in this case to the 1965 gas tax fund source) or some other available funding source to some other pocket park-type memorial for Brad Truax and AIDs victims. He also requested that some kind of historic caveat be provided to prospective sellers. It was later noted that the City Council has the authority to make historic designations on its own. READ staff inaccurately characterized the open space designations for habitat protections of the 40 acre Campus Point property in University City before a member of the public insisted on correcting them during Councilmember Gloria’s questioning. Councilmember Alvarez asked questions raised by the public to be addressed but nonetheless supported the staff recommendation with Councilmember Gloria’s request. No community planning group was notified or requested to make a formal review and recommendation on any of the six properties. The former Logan Library property was not even included in the Power Point presentation distributed (which incidentally sported the new City swoosh logo). You might find the video of the hearing on this item (#4) of interest when it is posted to the City Council website. Stay tuned. Next stop is the full City Council. Thanks for noticing the revised SGLU agenda items. I would have been working off the wrong data. State law Government Code Section 54220-54233 Surplus Land says the City, or School District, should give priority to Affordable Housing, Open Space, and Parks before selling the public property to the highest bidder. And allow less than Market value for public benefits. Attached below is the link for SGLU Items 3 and 4, including State law on Surplus Property, and several City Council Policies. According to La Playa Heritage, the Capital Outlay Account where the money from the sales would be deposited is just accumulating money with no intended purpose or practical use. One wonders why these sales are necessary. Maybe some of it could be used to do repairs on the Truax house or to build Tiny Homes on some of these properties. There seems to be no rhyme or reason for selling these properties especially without a Portfolio Management Plan. Quick update: The SG&LU Committee at their February 10 meeting basically took extensive public testimony and moved both of the items onto the full City Council. They appeared un-concerned about the Portfolio Management Plan issue.